¡MUCHA LUCHA! is a children’s adventure/comedy series inspired by our love of Lucha Libre. Created by Eddie Mort and Lili Chin in 1999, 52 half-hour episodes were produced by Warner Bros Animation for the KIDS WB network. 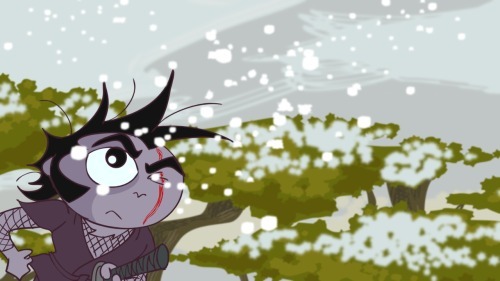 The series was syndicated internationally by CARTOON NETWORK. 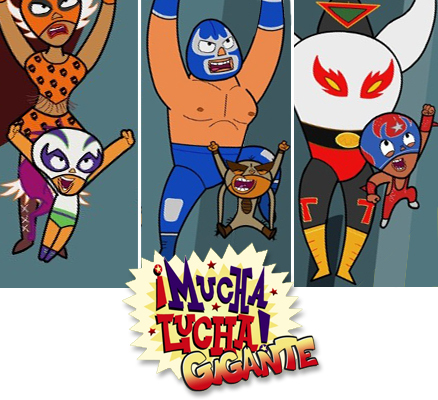 As well as being the first Flash-animated show for US broadcast TV, ¡MUCHA LUCHA! was #1 rated show during its run on KIDS WB, and had been consistently recognized by the Imagen Awards for its positive portrayal of Latino culture in the media. A feature length DVD ‘The Return Of El Malefico’ was produced, and for the third season, the show was retitled ¡MUCHA LUCHA! GIGANTE. The image above is from the season’s finale, starring Lucha Libre superstar Blue Demon Jr. as himself. Behold the next generation of Lucha Libre heroes! Five Mexican Wrestlers – Dragon Rojo Jr, Mr Profesional, Sorpresa, Rayo X and Tsetse Fly – team up to defend a village against an army of very bad guys. AZTECA CINE [Mexico] and Porchlight Entertainment [USA]. It was created and art directed by Eddie Mort and Lili Chin, written by Keith J Rainville, scored by Phofo, and boasts a cast and crew that is based in the USA, Australia, Canada, Mexico and The Philippines. Click here for the synopsis, full credits and press releases. LOS CAMPEONES premiered in Mexico City theaters on October 17, 2008, following a Summer sneak preview screening in Los Angeles. In 2010 it was acquired by Porchlight Entertainment for worldwide DVD release with a new soundtrack. Read more about the DVD release here.